Ferrari did it again, putting the team before the sport and its fans. Technically, Formula 1 is a team sport and working as a team should be the logical way to go. 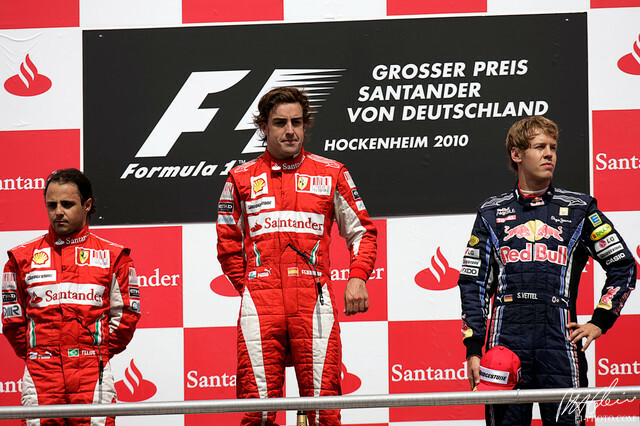 The German Grand Prix saw Massa make way for Alonso to take the lead and, eventually, win the race. Post race, at the spur of the moment, words such as ‘fixed championship’ and ‘Massa is a coward’ made headlines. Looking at things several races later, the Ferrari garage were most probably nodding their heads and patting each other on the back. Team orders is banned, yes, but teams have been doing it nonetheless, subtly and away from total criticism. Ferrari didn’t bother, sending a radio message. OK mate good lad, stick with him now, sorry. Both Frank Williams and Peter Sauber sent letters of support for Ferrari to the FIA, claiming that F1 is a team sport and that the rules regarding team orders need revising. To the FIA, the Jean Todt-headed FIA, the man that caused the ban on team orders in the first place. You could begin to think that he had an affect on the decisions put forth against Ferrari, but you’d be wrong. He clearly stated that he wouldn’t be taking part in the hearing because of those very reasons. Ferrari were fined $100,000 and no further charges were put against the team. Think about it: a season is three fourths complete, and driver 1B is leading driver 1A in the race and driver 1A needs the race win more than driver 1B (in order to better his chances of winning the championship), shouldn’t team 1 be able to make that decision without having to speak in code? Of course, analysis would have been made before hand. Alonso has out qualified Massa and has had faster lap times during practice. Not only that, Alonso is higher up in the standings and is in a stronger position to be Ferrari’s championship bid. I think, then, team orders are perfectly acceptable. I understand that fans want to see real, unaltered racing and team orders defeats that in every way. But at times, it must be done and should be accepted by every kind of viewer. Let’s say Ferrari didn’t impose team orders in Germany. We can’t predict what might have happened, but Alonso might have been out of the running for the championship and that would have meant that only three drivers would be fighting for the championship come the last race – a less exciting 2010 finale. A small reason, but still justified. Nevertheless, for 2011, team orders will be back and teams will have the freedom to shuffle their drivers as they please.